Gini Wijnaldum believes Liverpool can challenge for the Premier League title this season as he vowed to contribute at least 10 goals to their pursuit of glory. The £25million signing from Newcastle, who made his Reds debut in Saturday's comfortable 2-0 win over AC Milan in California, is aiming high ahead of the 2016/17 campaign. The Dutchman takes inspiration from what champions Leicester City achieved last term and believes Liverpool can do something similar under Jurgen Klopp. 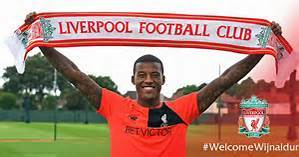 “Of course we can be serious challengers,” Wijnaldum said. “If you play for a club as big as Liverpool you always have to be trying to win trophies - that always has to be the aim. “You’re never going to be happy with eighth or ninth here. You have to go for titles. “That’s the dream for me to help Liverpool create more history and I will do everything I can for that. 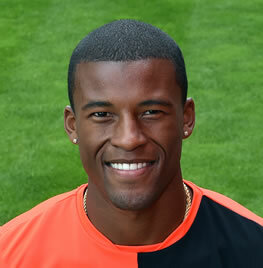 Wijnaldum insists he will play his part by providing Liverpool with a much needed injection of firepower from midfield. Most players shy away from publicly speaking about individual targets for fear of falling short, but the supremely confident midfielder has no doubt that the goals will flow for him. “I think a player with my quality has to get at least 10 goals a season,” he said. “Sometimes you reach more, sometimes less. Last season I got 11. But because I create so many chances I have to score at least 10 – that’s the pressure I put on myself. “I did it at Feyenoord, PSV, Newcastle. I always want to score, I am greedy to score and will do the same this season, looking for chances. “It’s because I have the quality to score goals. To be fair I have the quality to create chances too and because I create a lot, I score goals. “The manager told me I am a player he needs in his team and that I have the quality he likes,” he said. “That gave me a good feeling and confidence. There are a lot of big players in the world and he said that to me. “He is intense, yes. But you have to be because the way we want to play is intense and you have to be fit. “You have to train hard, you have to run. You always want to play football but the hard training is part of it too to create a base. "There is a special quality here. He wants to keep everyone together, show everyone how we want to play. “That gives everyone a good feeling. That's the most important thing in football as you have to do it as a team.